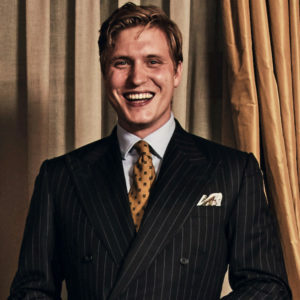 Navy wool hopsack, two-piece suit, bespoke Alfred Dunhill; blue chambray cotton shirt, brown wool herringbone tie and brown wool pocket handkerchief, all Thom Sweeney. Jaeger-LeCoultre Polaris automatic timepiece in stainless steel with black dial and brown calf leather strap. "I’d seen Benedict on British television before and really sought him out.” This is not an excerpt from a conversation that The Rake’s founder and I had about putting Benedict Cumberbatch on the cover. While the sentiment is the same, the source of the quote is Steven Spielberg, when talking about his casting process for the first world war epic War Horse. The film came out in 2011, and by then Cumberbatch had established himself as Britain’s nonpareil actor in a career spanning theatre, television, radio and film. Within a chamber troupe of young British actors, including Eddie Redmayne and Tom Hiddleston, Cumberbatch has always had an X factor that has kept his trajectory more or less vertical ever since. He possesses a potent mix of highly tuned talent and looks that can be dashing, frightening, mysterious and even androgynous (think Zoolander 2) — and all this before taking into account his mellifluous baritone timbre, which has contributed so well to mollifying and menacing animated characters alike. And he has always shown extracurricular interest in matters such as charity work, music and even letter writing. 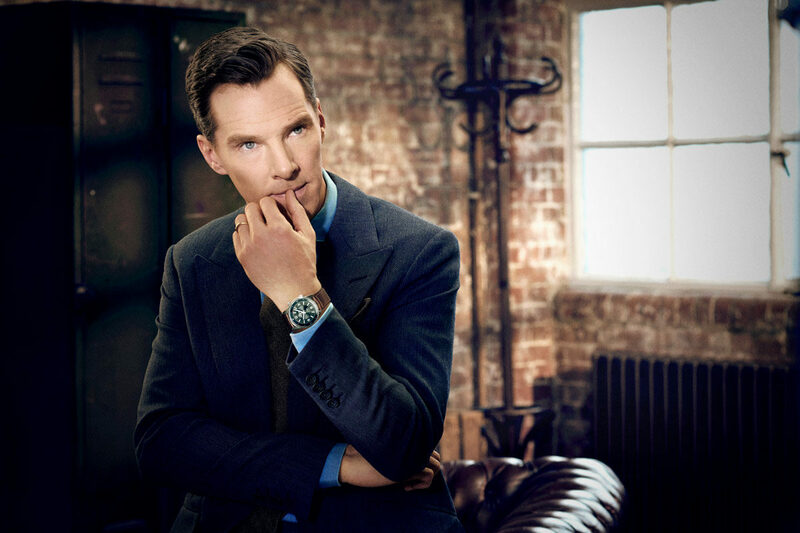 So, when we discovered that Benedict had shown a pronounced rakish streak, in the form of a partnership with the haute horlogerie giant Jaeger-LeCoultre, we jumped at the opportunity to discover what makes him tick (sorry). Until he emerged as everyone’s favourite misanthrope, Sherlock Holmes — a role he says “is an amazing part, so laden with depth, it’s iconic” — in the BBC’s post-Robert Downey Jr. series, which catapulted our man to international stardom, Cumberbatch’s career was by no means anonymous. He’d done his 10,000 hours in various guises alongside similarly budding actors such as Tom Hardy (Stuart: A Life Backwards) and James McAvoy (Starter for 10) as well as numerous plays at the Old Vic, the Almeida and the Royal Court. In other words, while his early C.V. was no gateway to fame, he was always in work, and content. “I always had ambition, I guess, and I was watching people doing great work on bigger cameras,” he says. “I learnt a lot from watching James McAvoy’s career, thinking he’s been so smart, he’s made such brilliant choices, and he has a wonderful agent who is an adorable human being. I remember how his stepping stones were just standout performances in T.V. dramas, like State of Play and Shameless, and then he started getting the leads. And Starter for 10 was one of his first leads, and was the same year as The Last King of Scotland. Read the full interview in Issue 57 of The Rake – on newsstands April 13th. Subscribe here.